Got an outdoorsy groomsman in your wedding party? Thank him with a traditional locking knife. 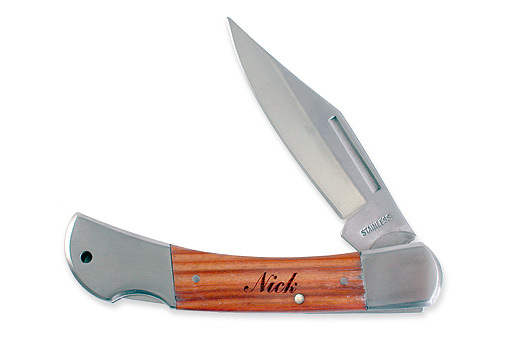 The stainless steel locking blade folds neatly into the wood-and-stainless steel handle. Blade measures 3 1/2"; knife measures 7 1/2" when open. Personalize the knife with one line of text up to 10 characters.